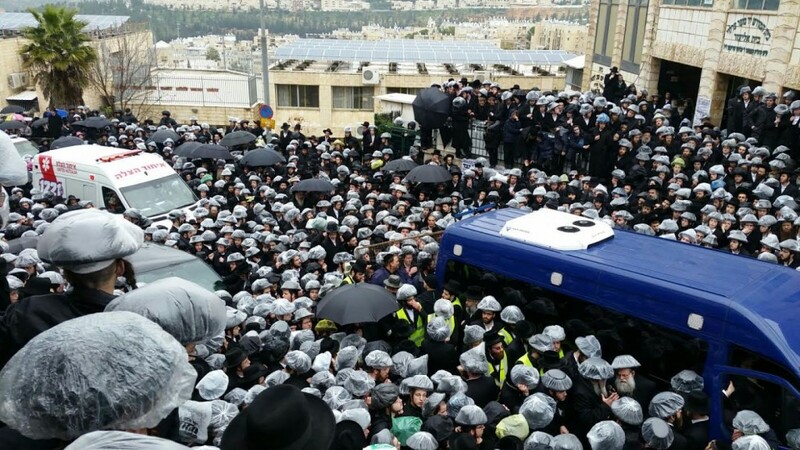 Klal Yisrael is in mourning with the petirah of the Erlau Rebbe, Harav Yochanan Sofer, zt”l, who was niftar early Monday morning in Yerushalayim. Shortly after the petirah, the mitah of the Rebbe was brought to his yeshivah in Katamon, and the paroches was drawn aside, as a sign of mourning. Tehillim was recited. The levayah began at the Erlau yeshivah in Katamon, Yerushalayim, with the participation of many thousands. Hespedim were delivered by the sons of the Rebbe, zy”a, and gabba’im. The first maspid was the Rebbe’s eldest son, Harav Moshe Sofer. He spoke of the great loss that will be felt with the Rebbe’s petirah. He mentioned the Rebbe’s greatness in the three pillars that the world stands on, as per the Mishnah in Avos: Torah, avodah and gemilus chassadim. The Rebbe was outstanding in all these three aspects. Harav Moshe added that the Rebbe was a talmid of his illustrious father and grandfather, Hy”d, and always mentioned their divrei Torah. 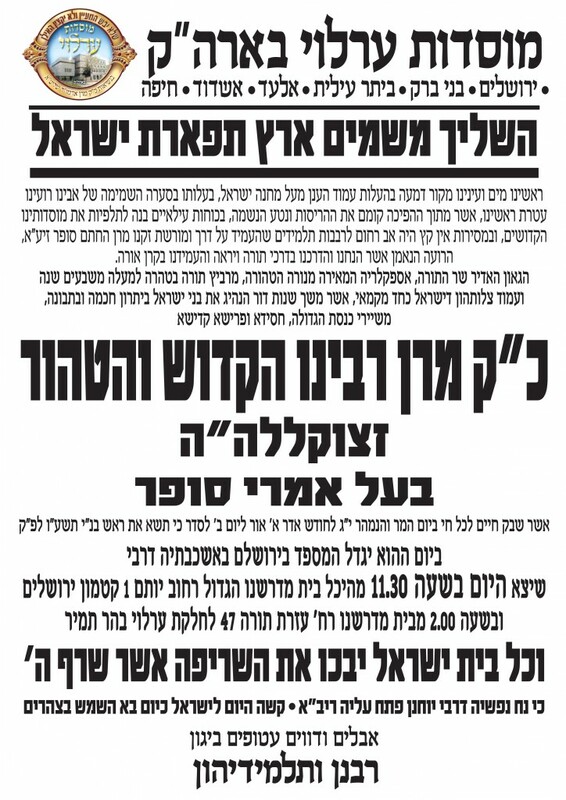 He noted that the last letter of the Rebbe was addressed to a special kinus of the Erlau Chassidim for chizuk against technology held last week in Elad. The Rebbe’s second son, Harav Yaakov Sofer, Rav of Erlau in Beitar Illit, spoke next. He noted that the Rebbe was niftar in the week of the parashah of Ki Sisa. The parashah begins with the words, “Ki sisa es rosh Bnei Yisrael,” and the words “rosh Bnei Yisrael” are the roshei teivos of the word Rebbe, alluding to the lifting of the Rebbe to higher plains. Harav Avraham Shmuel Binyamin, the Rebbe’s third son and Rosh Yeshivas Erlau, spoke of the kabbalos tovos, the good resolutions, that the tzibbur should accept upon themselves in memory of the Rebbe. The next speaker was the Rebbe’s fourth son, Harav Shimon Sofer, Rav in Tzefas, who spoke with much tears and emotion. He mentioned his father’s hasmadah, his tzidkus and his hakaras hatov. For every little thing, the Rebbe would always express his gratitude and show his appreciation. 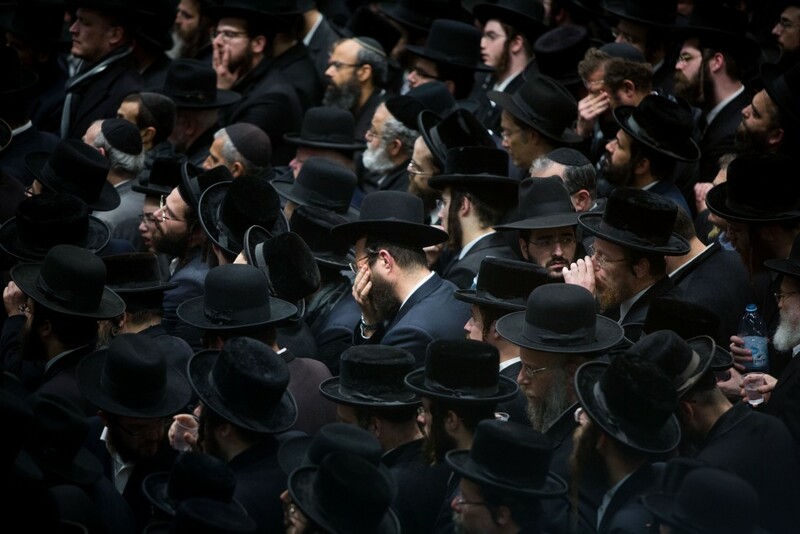 “You survived the Holocaust, losing your entire family, you remained an orphan, but with much emunah and bitachon, look what you have managed to build up – an empire of Torah and Chassidus,” added Harav Shimon. The Rav of Erlau in Bnei Brak, Harav Akiva Menachem Sofer, spoke of the kedushah of the Rebbe, which could be discerned in all his ways and actions. “The Rebbe was engaged for most of the day in learning and teaching Torah to his talmidim; this was his entire life and being. The Rebbe taught Torah and instilled yiras Shamayim in talmidim for seventy years. 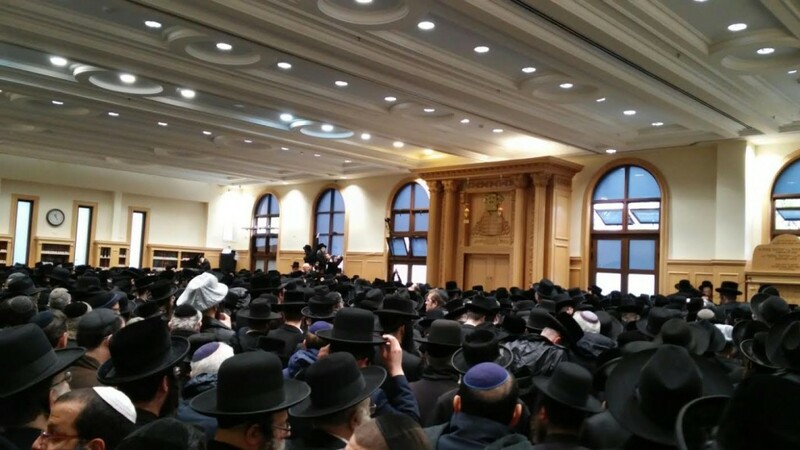 “The Rebbe wanted the family to remain together b’achdus, and we will remain under the leadership of our oldest brother, Harav Moshe, shlita,” said Harav Akiva Menachem. Harav Zalman Dovid Yeshayah Sofer, Rav of the Erlau community in Boro Park, noted that the petirah of tzaddikim is a kapparah for all of Klal Yisrael. It is like a korban on behalf of the klal. “May the Rebbe’s petirah be a kapparah and may he be a meilitz yosher for all of us,” concluded Harav Zalman. Following the hespedim of the Rebbe’s sons, Harav Yitzchak Tzvi Wagschall, who served as the baal tefillah in Erlau, appointed the Rebbe’s eldest son, Harav Moshe, shlita, to serve as the new Erlau Rebbe, in accordance with the explicit instructions given to him by the Rebbe, zt”l. The last speaker at the levayah was the Rebbe’s gabbai, Rav Moshe Spitzer, who thanked all the gabbai’im for their devotion to the Rebbe, especially in his later years. The hespedim were followed by kriyah and Kaddish. The levayah then left the beis medrash, passed the Rebbe’s house in Katamon and continued to the Erlau beis medrash in Ezras Torah. The maspidim there were Harav Yitzchak Tuviah Weiss, shlita, Gaavad of the Eidah Chareidis, and Harav Aharon Schiff, shlita, Rav of Antwerp, a talmid of the Rebbe, zt”l. From there the levayah continued on to Har Hamenuchos, where the Rebbe was buried next to the Rebbetzin. The sign announcing the petirah of the Rebbe, zt”l.